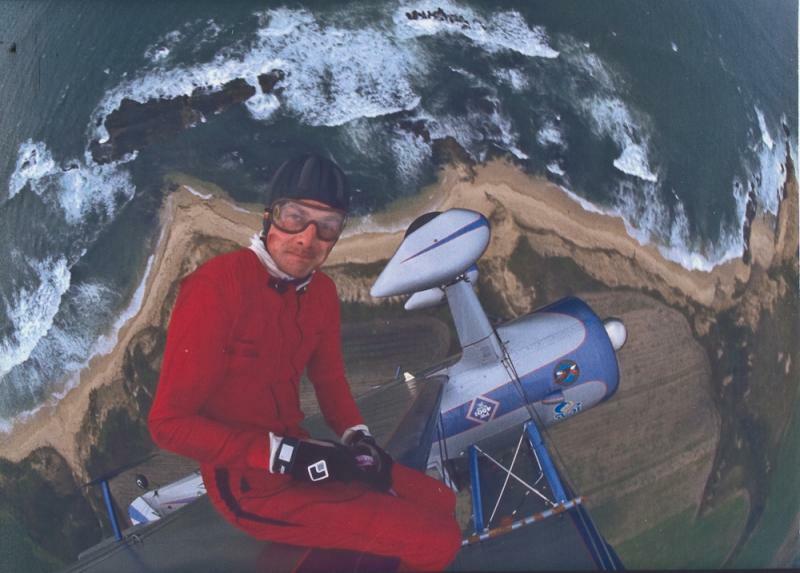 There are many treasures along our coastside, but one of my favorites is our local aerobatic pilot Eddie Andreini. 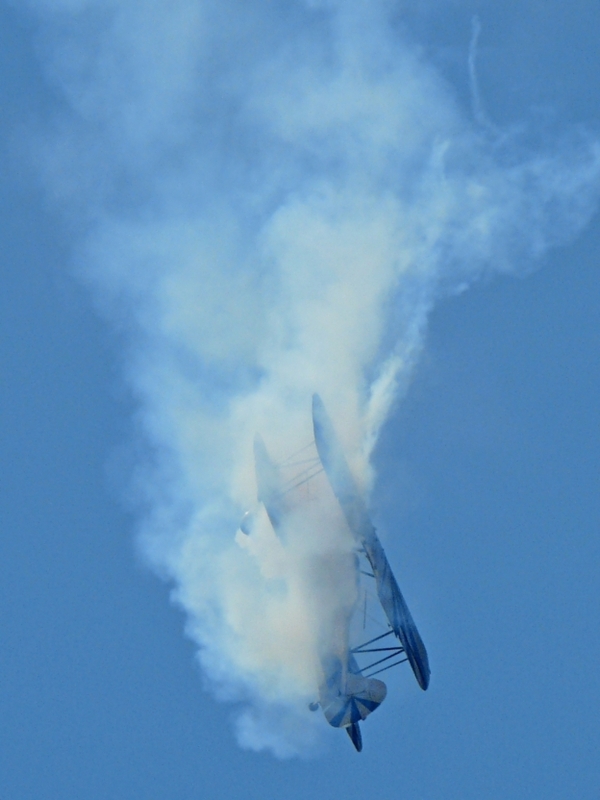 What’s so unusual is that Eddie is considered one of the nation's top air show performers, who was awarded the highly coveted Sword of Excellence by the International Conference of Air Shows, yet so many of us coastsiders don’t know about him. So I met with Eddie at his hangar in Half Moon Bay to learn his story. 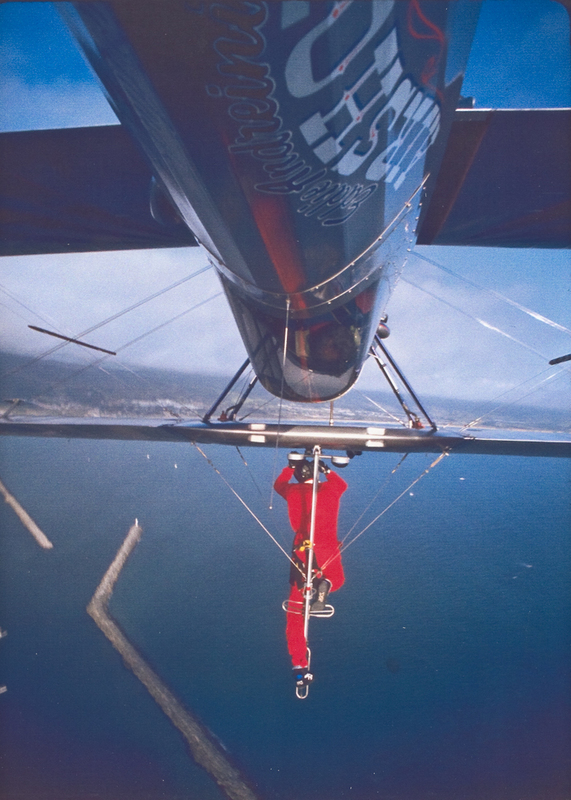 Eddie has been performing in air shows for almost 30 years and has performed throughout the United States, Canada, and Australia. 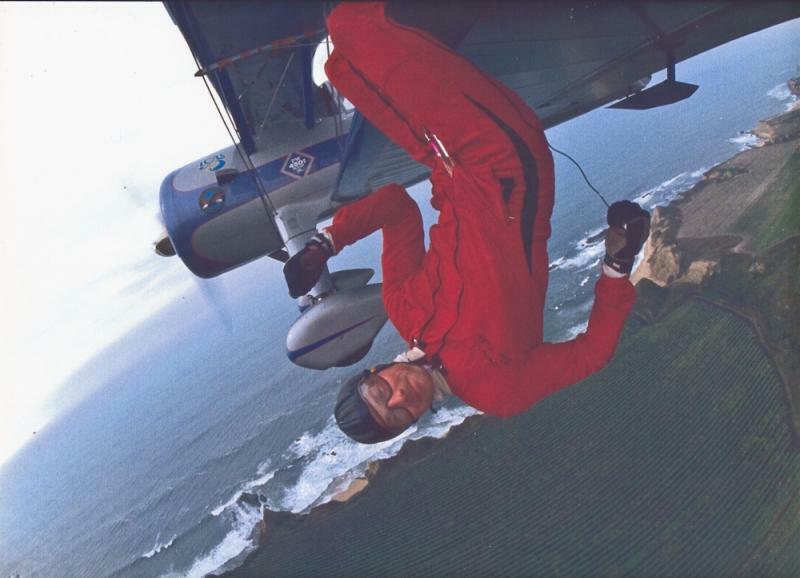 Eddie went for a ride in an airplane that belonged to a friend of his dad in Half Moon Bay when he was about 15 years old, “and that was really neat and I kept wanting to go again and again,” he says. And almost 30 years of performances at air shows followed. 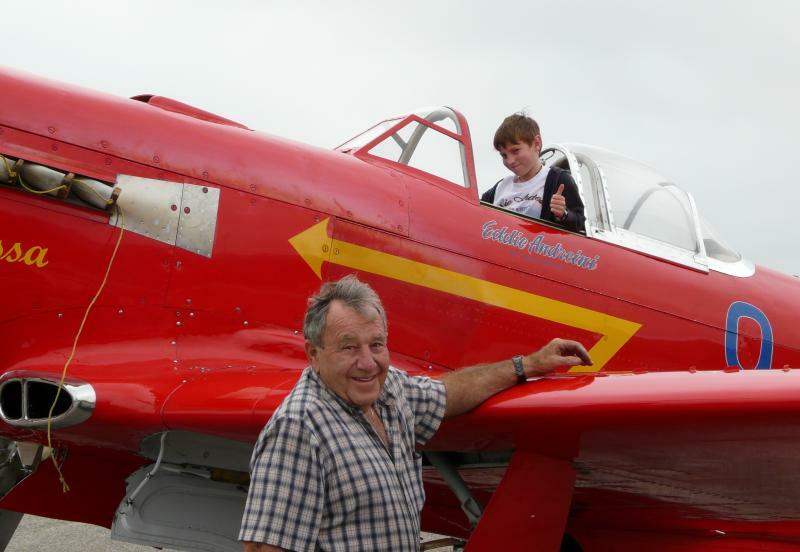 Eddie has had many airplanes over the years, flown many more, and loved them all. 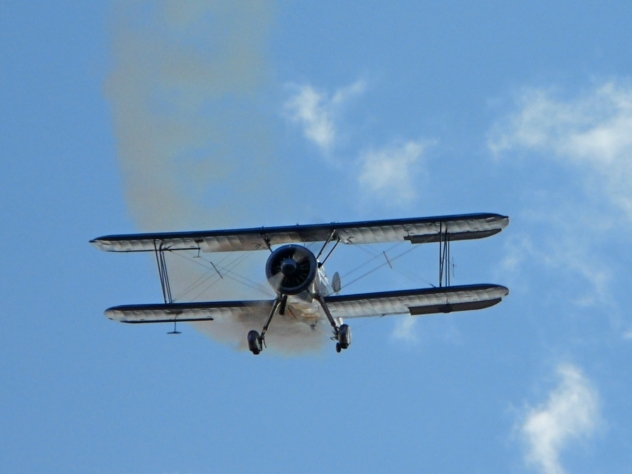 He was really hard-pressed to pick a favorite plane, but over the years he kept coming back to the Stearman. 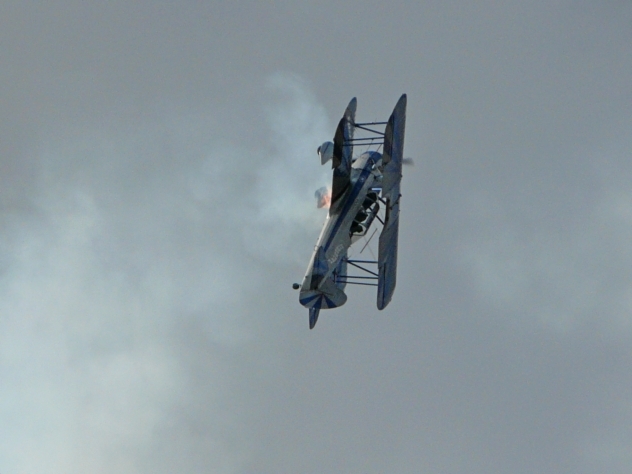 Currently he flies what is probably the most heavily modified Stearman in the United States. It’s a 1944 PT-13D Boeing Stearman, and he can do absolutely amazing twists and turns in the air with it, yet it’s a very comfortable cross-country plane. 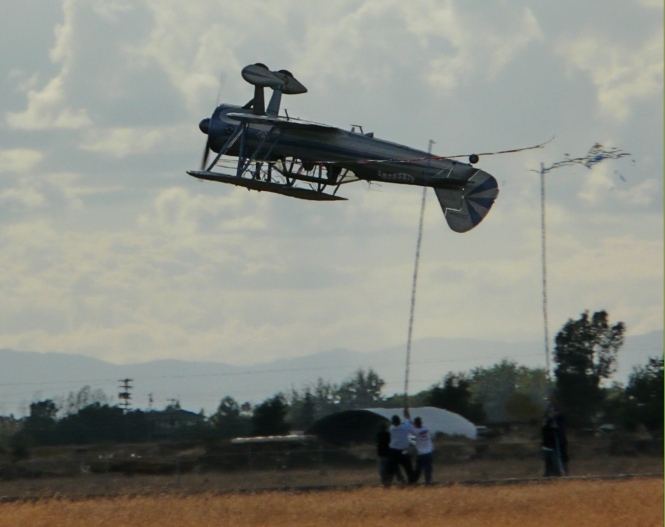 Eddie loves it because it is so challenging to be graceful with it when flying at the edge, and yet it’s a beautiful machine. 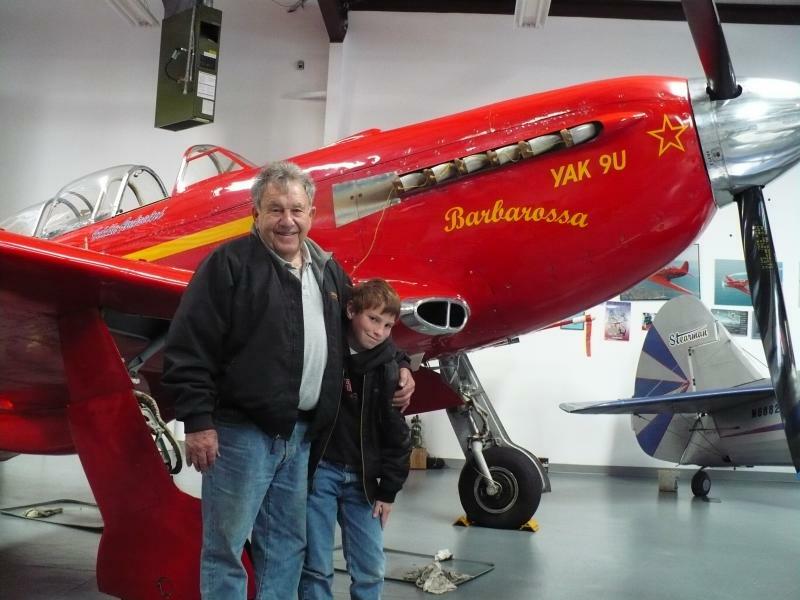 Eddie also has two beautiful Yak- 9 fighters. 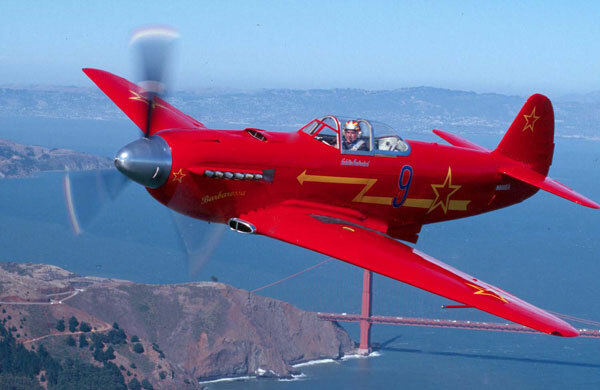 The finest Russian WWII fighter, it was originally produced from 1942-1948, but Eddie’s were made new in 1996 from the original jigs. 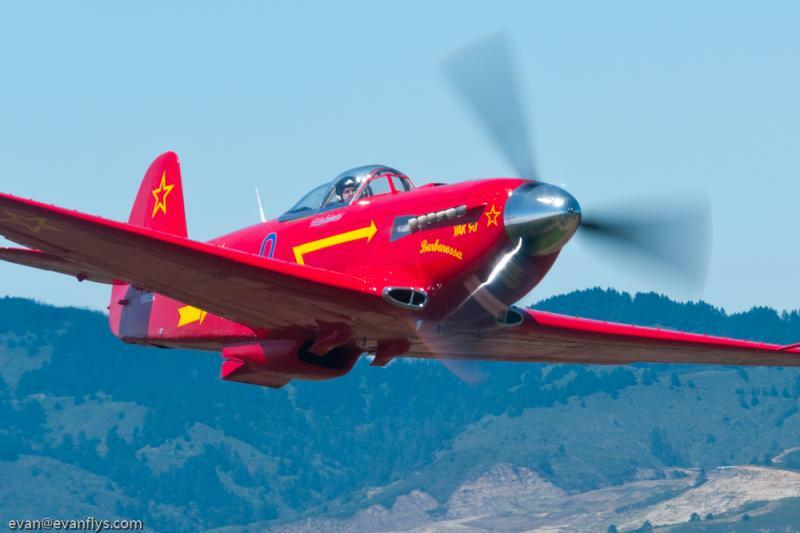 With its American V-12 Allison engine power, it can actually outperform the famous P-51 Mustang at lower levels. I like Eddie’s Stearman and his amazing talent with it very much, but the grace and power of the Yak are for me! Eddie had his planes on display along with many other amazing aircraft April 27 at the Pacific Coast Dream Machines at Half Moon Bay Airport. 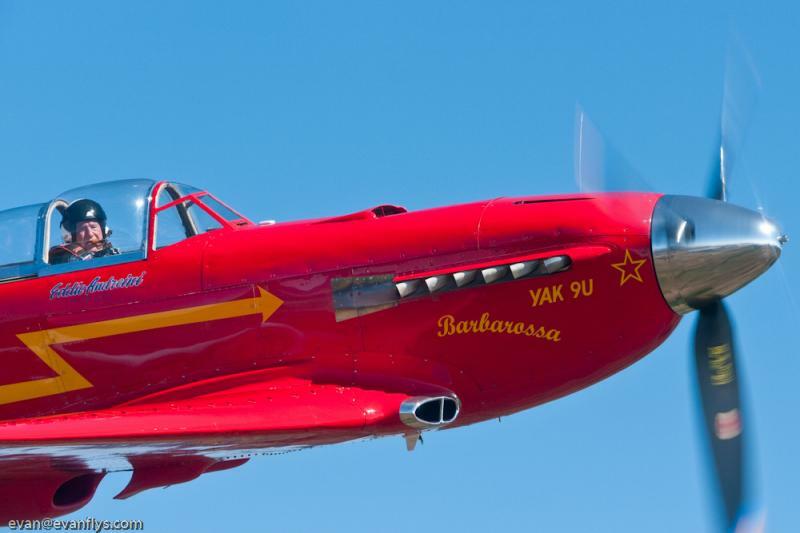 Below: shots of Eddie flying his Yak-9 and his Stearman Biplane. 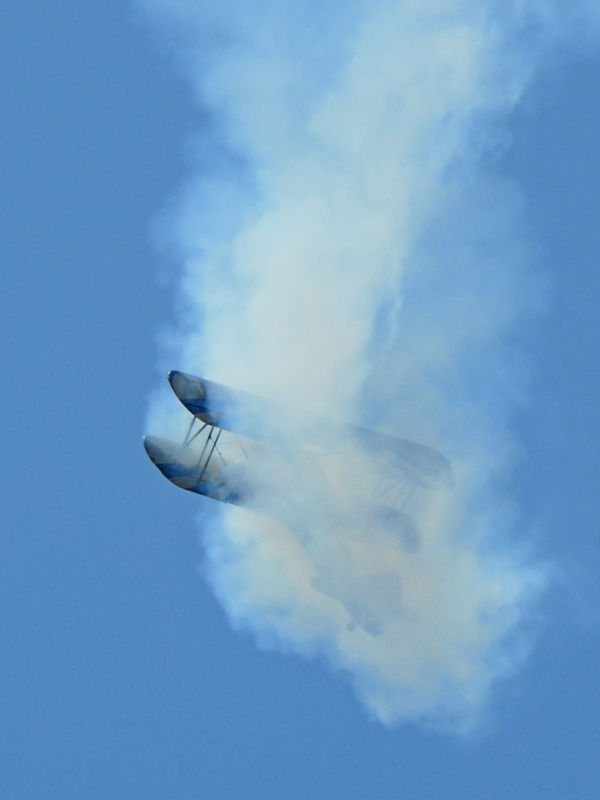 Photo above: Eddie Andreini and the author Evan; below are shots of Eddie flying his Yak and his Stearman. my dad shot these two!